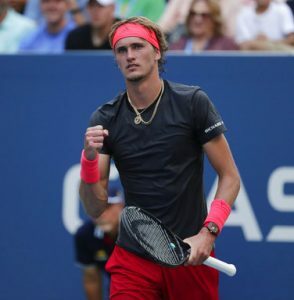 Whether it’s Maria Sharapova‘s Swarovski studded dress or Alexander Zverev‘s Bjorn Borg inspired-outfit, the US Open has garnered just as much attention for its stellar display of fashion over the past few years as it has for its outstanding quality of tennis. And why not? The glitz and glamour of New York has to be honored and celebrated after all. 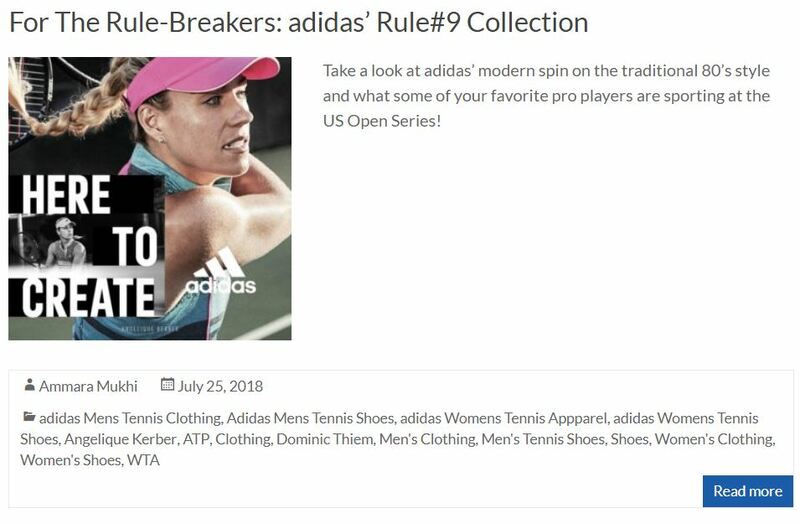 And as we enter the last Grand Slam tournament of 2018, we’re all super excited to see what our favorite athletes bring to the table, both in terms of performance and fashion. And while we can’t say much about who’s going to do well and who won’t, we can definitely give you an exclusive insight into what some of our favorite pro players are sporting for the grand event. 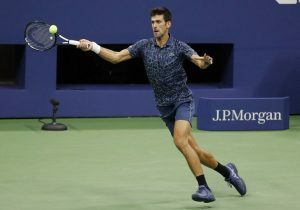 The reigning champion returns to New York to further cement his reputation as one of the greatest tennis players to have ever lived. 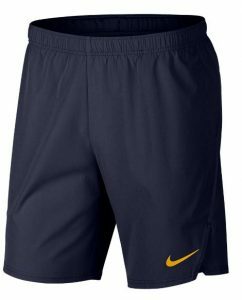 With Federer’s departure from camp Nike, he is now indubitably the brand’s leading athlete. So what has Nike crafted for the US Open champion? 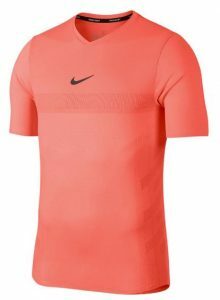 For his daytime look, he will wear the Nike Rafa Men’s Court Aeroreact Top in Hyper Crimson and pair it with the Nike Men’s Flex Ace 7 Inch New York Short in White and Hyper Crimson. 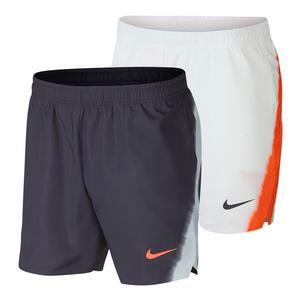 The color-blocked short moves away from Rafa’s usual look, and we’re not complaining. 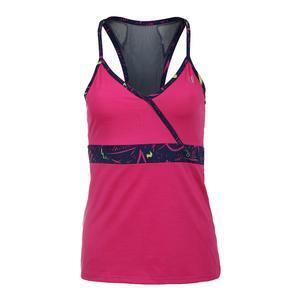 The night outfit features the same top and short in Gridiron. 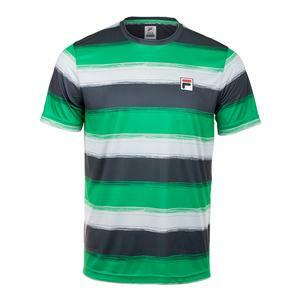 Both the colors will stand out beautifully against the blue hard courts of New York. 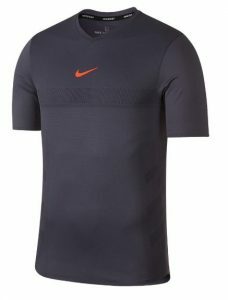 Not that Rafa needs that to stand out. The powerhouse will let his tennis do the talking, as always. Returning from injury and ranked at 83 in the world, Sloane had made an unexpected comeback to win her first Grand Slam title last year at the US Open and had stunned the tennis world. She returns this year, ranked at number 3 in the world, with a Miami Masters title and a French Open final under her belt. She knows what she’s capable of, and so do we. 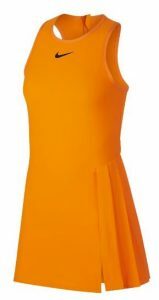 She has chosen Nike’s Court Slam New York dress in Orange Peel. Just when fans were beginning to think Novak’s golden days were over, he pulled a rabbit (or two) out of the hat. Wimbledon champion and the first ever to win all Masters 1000 titles, Nole is on his way to restoring his former glory. A US Open championship will check that off his to-do-list, among other things. 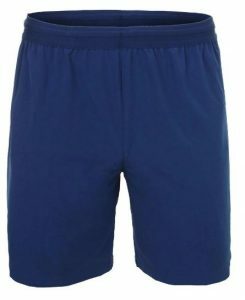 He will enter the arena wearing Lacoste’s Novak Djokovic Ulta Dry Tennis Polo in Blue with the Men’s Novak Djokovic 7 Inch Stretch Woven Short in White and Black. If “age is just a number had a face, it would probably be Venus’. Entering her 20th US Open this year, the seven-time Grand Slam winner continues to push the boundaries forward to open up new possibilities for herself and the world of tennis. 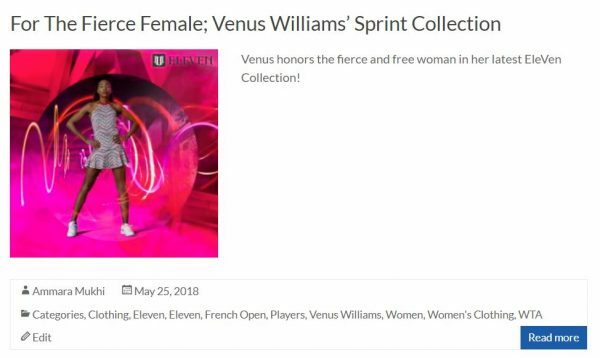 She is sporting her clothing brand EleVen’s designs for the US Open. 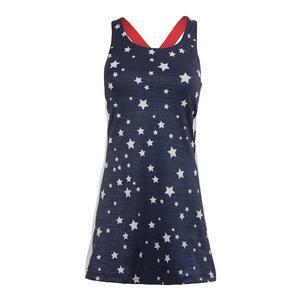 Her outfit comprises the following: the Fortissimo dress, the Portal Tank, the Backup Cap Sleeve Top with the Fly and Shimmer Skorts. The young champion is making his way up top and the number one ranking in the future is only inevitable. For now however, he has yet to win a Grand Slam championship. Is this the tournament we see him claim his first? 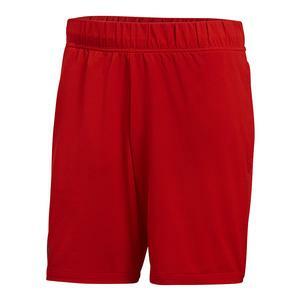 Zverev is sporting the latest edition of the adidas Barricade line. 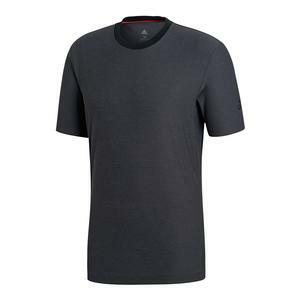 The Barricade tee in Black with the Barricade Short in Scarlet make up his outfit for the US Open. The former world number one won her first grand slam title this year in Melbourne. Can she pull off a similar feat in the New York hard courts? 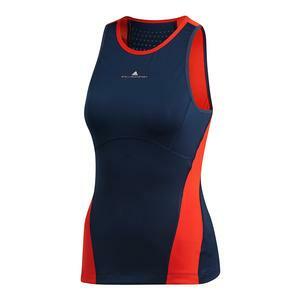 A staunch adidas by Stella McCartney athlete, Caro is rocking the Stella New York Tennis Tank in Night Indigo and Core Red with the Stella New York Skirt in Night Indigo but with Ray Blue. The phenomenal 2009 US Open final he played against the maestro is still one of our favorite all-time tennis matches. He has shown us that he’s more than capable of taking on the tennis heavyweights. Will he treat us to another similar masterpiece this year? 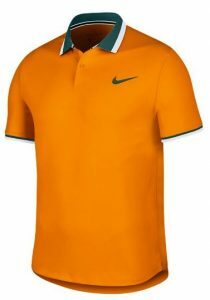 del Potro is wearing the Nike Advantage Polo Classic in Orange Peel with the Nike Court Flex Ace Pro Short in Blackened Blue for his US Open attire. 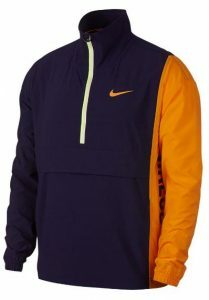 The Nike Court Stadium Jacket is his outerwear for the tournament. With a Wimbledon win, Angelique Kerber has reinstated her former glory. The 2016 US Open champion will be looking for her second US Open title in New York. 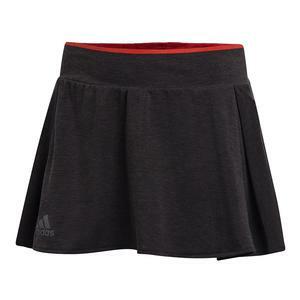 Kerber, like Zverev, is sporting the latest edition of the Barricade line. 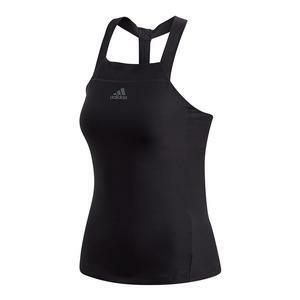 Her outfit consists the adidas Barricade Tennis Tank with the adidas Barricade Tennis Skort, both in black. 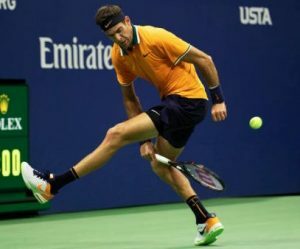 Marin Cilic created magic when he took down defending champion and tennis powerhouse Rafa Nadal in 2014 to go on and win the US Open, landing his first Grand Slam. He has made quite a few grand slam finals since then, including at the Australian Open this year, but can he can he claim another major? He is debuting Fila’s Legends collection. 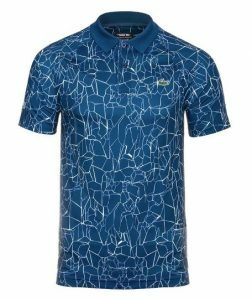 The Striped Crew and Legends Polo, together with the Legends Short in Ebony and White respectively, make up his US Open 2018 attire. The former world number one has yet to win a grand slam. She was the US Open runner up in 2016; is this the year she lifts the title? 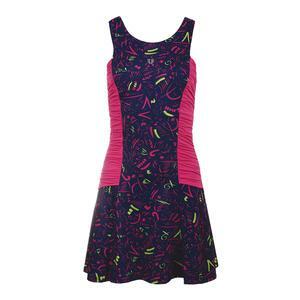 Pliskova is rocking the Fila Heritage Tennis Dress, as well as a similar tank and skort at the US Open 2018. 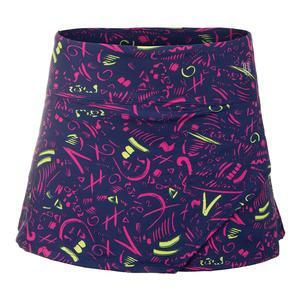 Shop these designs and more at Tennis Express to dress like your favorite champions!